The University of Wollongong (UOW) is a public university with approximately 22,000 students, located in the coastal city of Wollongong, which is 80 kilometres south of Sydney, in New South Wales, Australia. The University of Wollongong is located approximately 3 miles northwest of the coastal city of Wollongong in the foothills of Mt. Keira and is accessible by direct bus line from all areas of the city. Wollongong is situated 90 minutes south of the Sydney Central Business District along the coast of New South Wales and has easy access to the city by rail or car. The campus combines a tranquil bushland setting with modern, state-of-the art facilities and infrastructure that create the perfect learning environment. The campus is a sanctuary for native wildlife, its parklike environment encourages students to enjoy the surrounding beaches, rainforests and mountains. The university’s casual, laid-back atmosphere reflects a relaxed and friendly setting while its live music venues, numerous cafés, market days and parklands create a lively interactive student scene. The University of Wollongong was founded in 1951 when a Division of the then New South Wales University of Technology (re-named the University of New South Wales in 1958) was established in Wollongong. 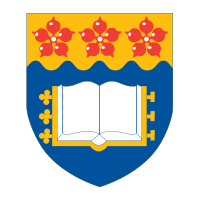 After ten years the Division became the Wollongong University College. In 1975, the University of Wollongong was incorporated by the New South Wales Parliament as an independent institution of higher learning. In 1978 the computer science faculty developed a version of Unix for the Interdata 7/32 called UNSW 01, this was the first non-PDP Unix. In 1982, the University amalgamated with the Wollongong Institute of Higher Education, which, in 1962, had originated as the Wollongong Teachers’ College. The merger formed the basis of the contemporary university. In 1993, UOW opened what was to become the University of Wollongong in Dubai (UOWD) in the United Arab Emirates. Initially called the Institute of Australian Studies (IAS), this centre made UOW the first foreign university to open a campus in the UAE, and the first Australian tertiary institution represented in the Persian Gulf. 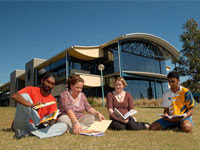 IAS initially offered English language programs, before becoming a 'feeder college' by 1995, where students completed part of a degree in Business or IT in Dubai before coming to Australia to complete their studies. In 1999, it was the first foreign-owned institution in the world to be issued a licence from the Federal Government of the United Arab Emirates, and was formally opened as University of Wollongong, Dubai Campus in October 2000. It was officially incorporated as University of Wollongong in Dubai in 2004.